Instructions: Click here to view a larger photo of this project. 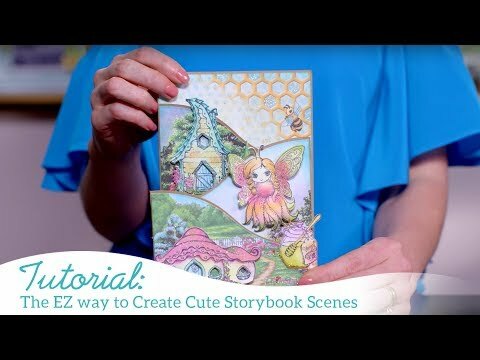 Make this flip fold album using Pocket and Flipfold Inserts E-Kraft and score the folds. Size used 11.75"x 21" and after the fold the size of the mini album is 4.5"x 8.5". For the top Flap, cover it with the pattern paper from the Sweet As Honey Collection, size is 4.375"x5.25" and distress the edges and adhere it with Designer Dries Clear Adhesive. Now cut ornate Border and Pocket Die and adhere it on the flap as shown. Next create a band size 1.5"x 4.875" on the left side and 1.5"x 3.875" on the right side as shown adding a magnet on the band. Arrange some elements from the designer paper collection with matching die and sprinkle crystal clear glitter and arrange them as shown. For the next fold adhere the designer paper and distress the edges. 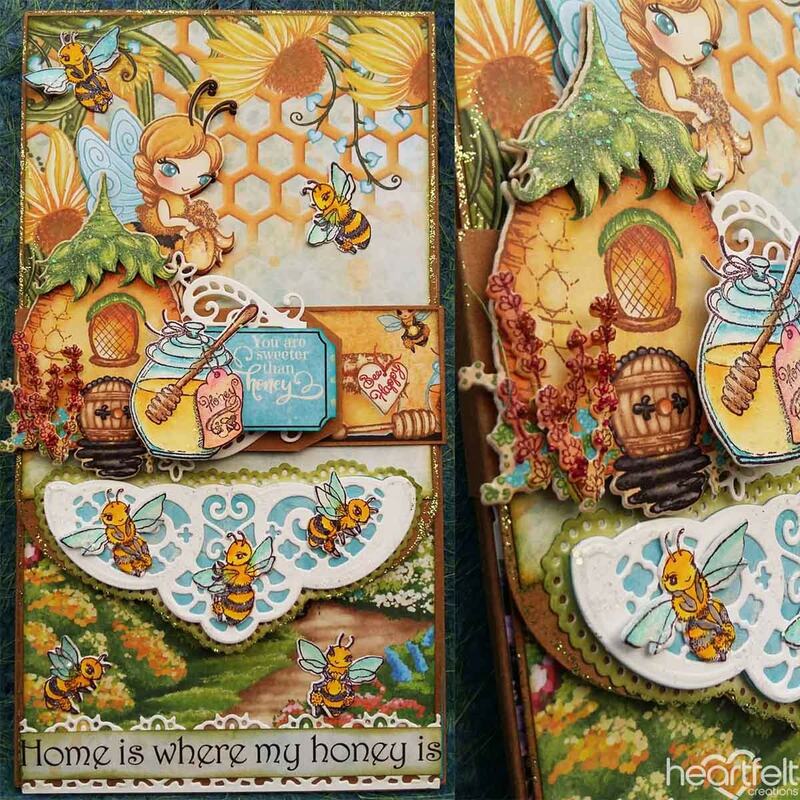 At the bottom add the sentiment "Home is where my honey is" with Sweetheart border die as shown and adding some sweet honey bees. Next adhere Sweetheart border die on the top edges of the next fold. Inside pages are all decorated with the designer paper along with the waterfall pages.